Rabbi Benzion Klatzko is an ordained rabbi, a music producer, a published author, and a radio talk show host. Dubbed the “Hollywood Rabbi,” for years Rabbi Klatzko delivered a popular monthly class in Jewish thought to many of Hollywood’s biggest stars. 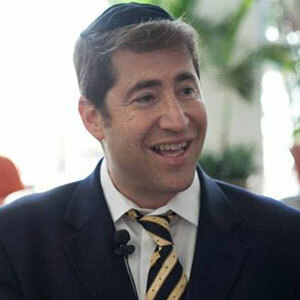 Rabbi Klatzko is one of the national directors for Jewish life on campus in North America and was named “One of America’s Most Inspiring Rabbis” by the Jewish Forward Magazine in 2014. Rabbi Klatzko is also the founder of Shabbat.com, the world’s largest Jewish social network, helping people find Shabbat, Jewish Dating, and employment in over 120 countries. He can be reached at (212) 742-2228 (212-shabbat) or via email at [email protected].